Shining Hearts - Amil Manaflare "Swimsuit Ver." Kotobukiya continues their lineup of Anime statues based on Sega's popular Shining series of games with Shining Hearts Amil Manaflare Swimsuit ver Ani Statue! Includes removable skirt for display options. Amil looks great as she steps out on the beach in her frilled bikini and twin tails in her hair. Display with or without the removable skirt for your choice of display options. Amil stands 22cm tall in a beautifully sculpted, highly detailed 1/7 scale. 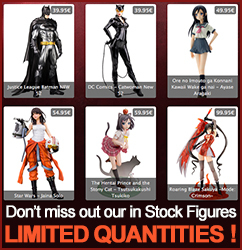 Display alone or alongside other Shining Statues from Kotobukiya!